As part of the deal, Fox will still be required to use BAM Tech as its primary streaming technology vendor, and to pay a rights fee to MLB equal to around 4 percent of the team’s overall media deal. The league’s change of heart on hosting and authentication is almost certainly due in part to the spin-off of BAM Tech. By making BAM Tech a standalone entity, majority-owned by the league but presumably with its own P&L, MLB now has an incentive to allow BAM Tech to maximize its business as a technology vendor. BAM Tech already provides white-label streaming services for HBO Now, ESPN’s online operation, Sony’s PlaySation Vue and WWE Network. But the RSNs could provide MLB with a twofer, yielding both vendor revenue and incremental rights fees. More broadly, the deal would also seem to at least open the door to the possibility for the Fox RSNs to eventually make their games available to virtual MVPDs like Sling TV and Apple’s planned (although now apparently postponed until at least next year) OTT service. If so it would represent a major breakthrough for OTT service providers. The lack of local programming, especially live local sports, remains a major impediment to consumer adoption of vMVPDs. To be sure, the RSNs still have incredibly lucrative deals with traditional pay-TV providers to protect. But like all pay-TV programmers, cord-cutting will gradually erode the RSNs’ subscriber rolls, forcing them to look elsewhere for revenue to cover the enormous rights fees they’ve committed to. The Fox deal, should it go through, would not be the only sign that the leagues are loosening their grip on live streaming (or having it chipped away at), if ever so slightly. As part of the BAM Tech spin-off, the National Hockey League took a minority equity position in the new entity, which will now handle streaming duties for NHL GameCenter Live. Like MLB, the NHL has up to now limited streaming access to out-of-market games as part of a full package involving all games. As part of a settlement in a class-action lawsuit agreed to by the league, however (still pending final court approval), the NHL this season will make single-team out-of-market packages available at a discount to the full league slate. Unlike the Fox deal, there’s no indication in the NHL settlement that the individual RSNs that provide the coverage of the games included in those single-team packages will be able to monetize that viewership directly. But now that the league will, in effect, be reselling their feeds on a standalone basis, expect the RSNs to ramp up the pressure for in-market streaming rights. 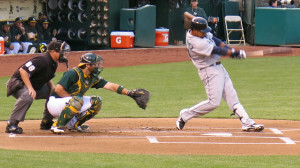 With BAM Tech already handling in-market streaming of MLB games on behalf of RSNs, moreover, the infrastructure will already be in place to do the same for hockey. The Fox deal and the NHL settlement are just cracks in the ice at this point. But if you’ve ever played pond hockey, you know where cracks can lead.